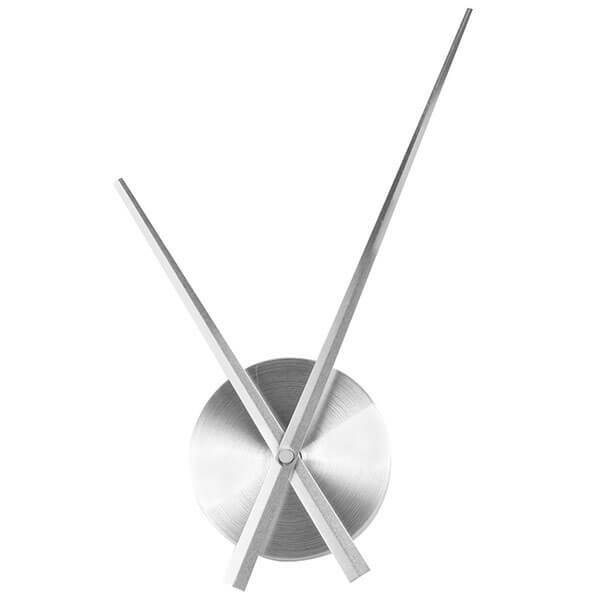 The Umbra Ribbon Wall Clock uses steel ribbons to make each of the hours of this ultra contemporary wall clock. 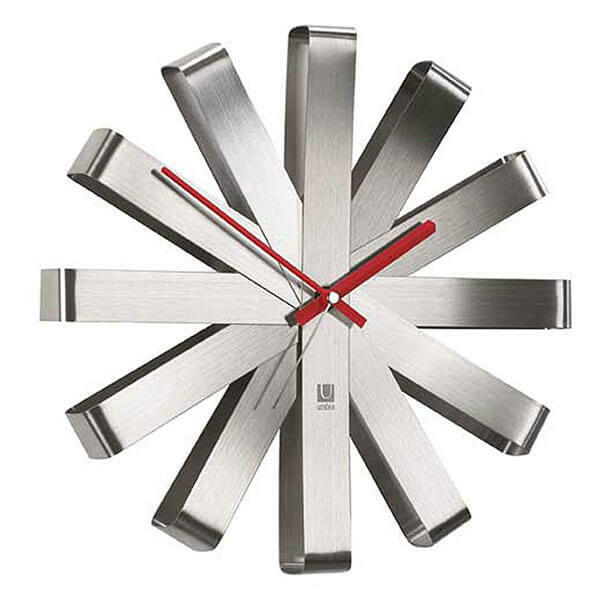 It is made out of bent stainless steel and features vibrant red hands that tell the time with ease. Time is kept using a reliable and accurate quartz movement. 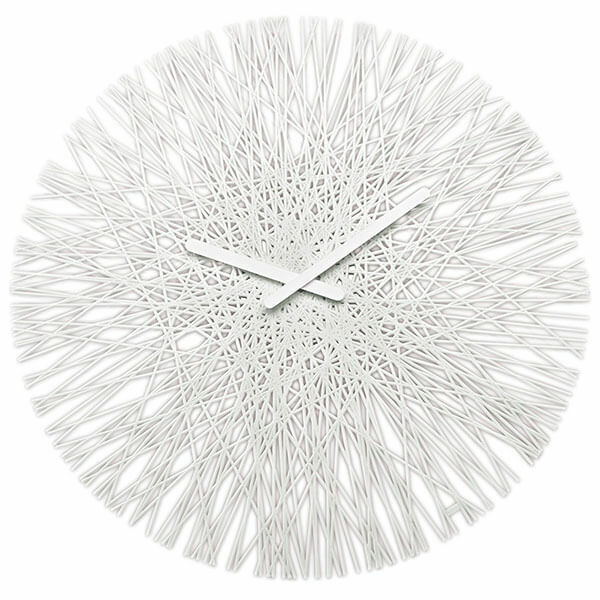 Made to look like an intricate web, the koziol SILK Wall Clock is a wall clock that is composed of a variety of different silk lines to create an interesting texture and an intricate look. This wall clock is made out of high quality, recyclable plastic. Battery: AA 1.5V battery (not included). Stripped down to only its essential functions, the YESURPRISE Modern Aluminum 3D Clock is about as modern as a clock can get. It features nothing but the two hands that tick away the time without indicators. It is made out of aluminum and uses an AA battery to run. 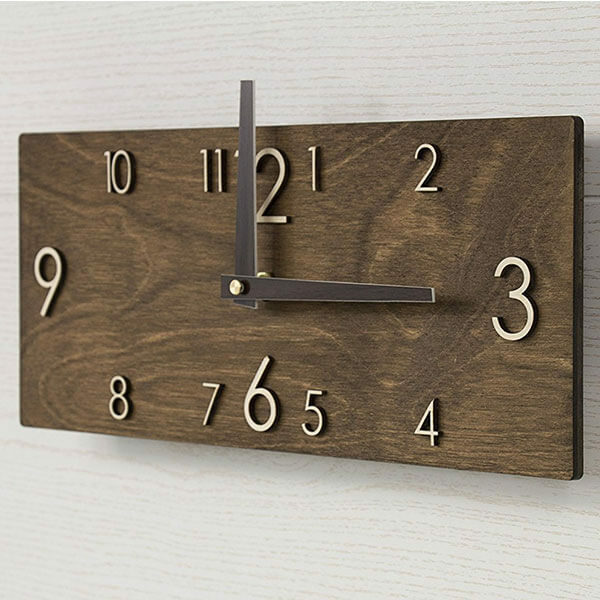 The Promi Design Wooden Wall Clock features a thick plywood backdrop upon which the metallic indicators are randomly placed, ushering in a new idea of what a clock should look like. The indicators are Arabic numerals spread out in unique ways while the 12, 3, 6 and 9 placeholders remain where they should be. Uses advanced quartz movement to provide you precise movement and keep good time. Powered by 1 * 1.5V AA battery (not included). 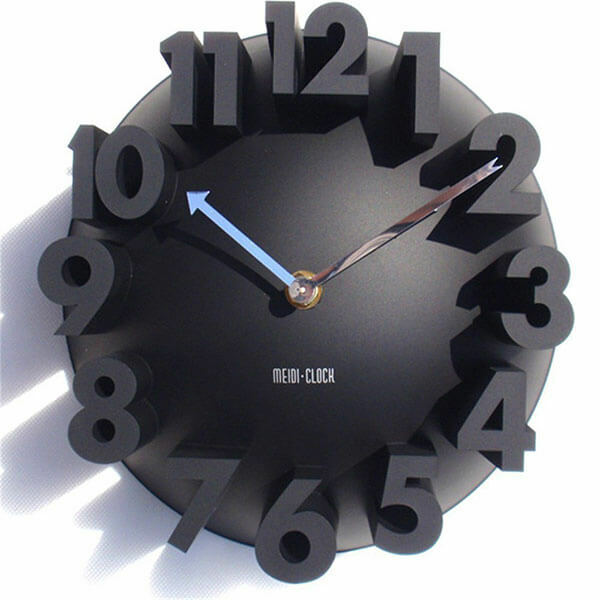 The GCA Modern Wall Clock is a 3D clock with black numbers that stick out from its black dial. These 3D Arabic numeral indicators have two different kinds of hands that indicate the time. It uses an advanced quartz movement that is both dependable and totally accurate. 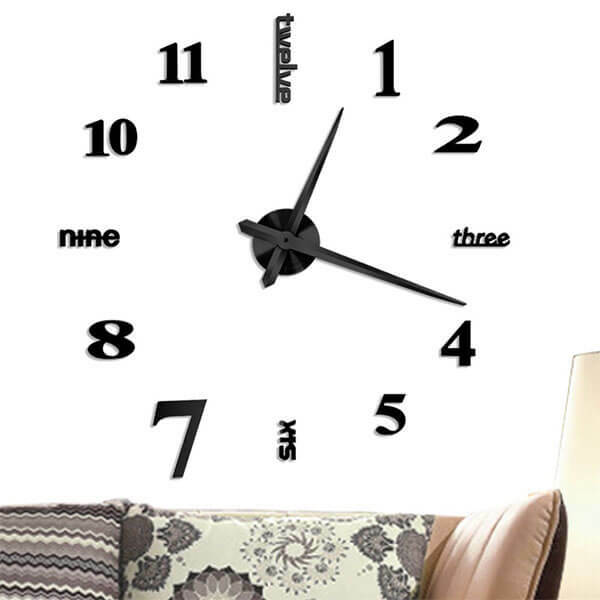 The Vangold Frameless Large 3D Wall Clock is a unique spin on a classic style clock. The 12, 3, 6 and 9 indicators are spelled out in letters while the rest of the numbers feature actual numbers. It features an acrylic mirror surface to offer your space a more modern atmosphere.